Q: How old are you and when did you start handxmade? I'm currently 23 years old (2018), and I started making the website, created instagram on March 2015. But I was trying to juggle studying (at that point of time), work and handxmade at the same time so there was not much updates in handxmade. It's only when I left my part time jobs for good on November 2015 and that's when handxmade started receiving orders from people other than my friends. I started making YouTube videos full time on April 2017! Q: What does handxmade mean? It's actually a name I tried to create with my initials (OXM) inside the logo. I played around with the word 'handmade' because it's straightforward- everything I make is handmade. It's not very creative is it..HAHAHA. But it was pretty unique and a lot of other username that was on my mind was being used hahahaha. Q: Why do you use USD instead of SGD when you're in Singapore? I want to show people how versatile polymer clay is, through my videos of making anything and everything! The aim for my videos is to be both entertaining yet educational. I have The Secret series where I talk about my tools and how I use them, so combining the information and resources I've provided, plus my videos, I hope that aspiring crafters will be able to learn by immediately starting out on their own, instead of copying blindly from other polymer clay artists. This way, you'll be able to find your own style and at the same time learning a lot through your own experiences! Q: Where can I learn all about the tools and materials you use? I have a series which I called The Secrets Series, where I talk about ALL the tools and materials I used! They are filled with tons of GIFs which makes it easy to see me using the tools real-time without having to click on any videos! I have some articles that are open to public, so you can check those out and determine if this way of learning is suitable for you. If you think it is, you can pledge on my Patreon and get the password to gain access to all the other articles! Q: Why is your web store closed?? My store will consists of mostly Zines and Sticker Packs (you still can check them out - they just won't be available for sale). If you're interested in getting polymer clay miniatures/sculptures, please check the Patreon Related FAQ (Reward Vault). I also auction some of the things I make for my YouTube videos on my Instagram! Patreon is a website that helps full-time artists/creators like me continue to create and make art with your help! You can check mine out over here. Q: What are the tiers you have? Q: Milestone Rewards on Patreon? I wanted to give back to all my patrons as much as I can, so I started doing giveaways on Patreon. It wasn't neccessary and it's just an additional service on my part. However, after a year of doing so, I was informed by Patreon that giveaways wasn't allowed on Patreon. To counter that and make sure I am still able to give back to everyone despite the setback, we've decided that Milestone Rewards would be the answer! Q: How do I redeem Rewards from Reward Vault? Please note that Reward Vault is on @handxmadefam's IG story highlights! Since I can't provide any custom services, if you still want to order something handmade and want to support Singapore crafters, here are some of the artists I like and are friends with, who sells handmade items or accepts custom orders! 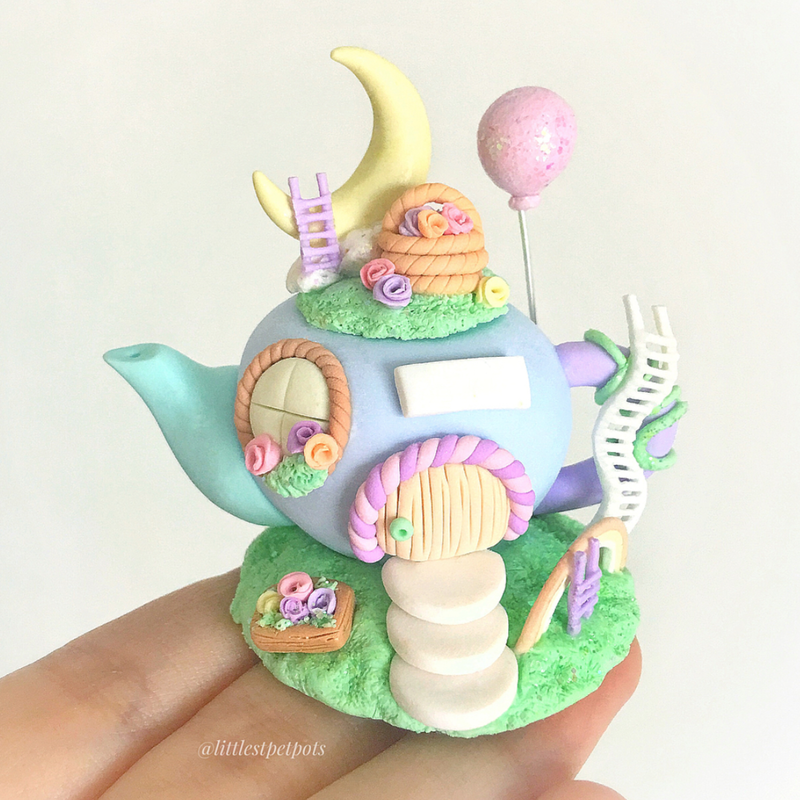 Miniature food sculptures with polymer clay and mainly does very amazing workshops which I’ve helped out quite a number of times so I can vouch for 😆 She also has an ULTIMATE polymer clay kit which I absolutely believe in and it has 5 beginner tutorials and 12 miniature food tutorials in the kit IT’S SO WORTH IT. Here's my own review. She specialises in little polymer clay clay dish accessories holders, and the figurines on them are tiny! 😱You can order miniature dogs, flowers, anything on these clay dishes, with customised names and dates if you wish! Paper crepe flowers that I’ve actually attended a workshop for!! Seriously, the aspect of making flowers that never wilt on your own is just so intriguing. I NEED TO ATTEND MORE WORKSHOP FROM HER. You can buy bouquets of flowers that does not wilt and it's all handmade! 💐Her feed is really gorgeous thanks to these flowers too hehe. If you/your partner loves gemstones here’s a maker in Singapore that does handcrafted jewellery with them too! ☺️✨She's currently into metal smithing, so look forward to even beautiful and dainty items! For those who are not in Singapore and would like to know international polymer clay crafters I admire, here they are! Lianne creates a lot of mini creations with polymer clay, and they're usually of popular characters! Her Lilninjastars are the most popular, and she had a huge project making most pokemon characters (IT WAS AMAZING). 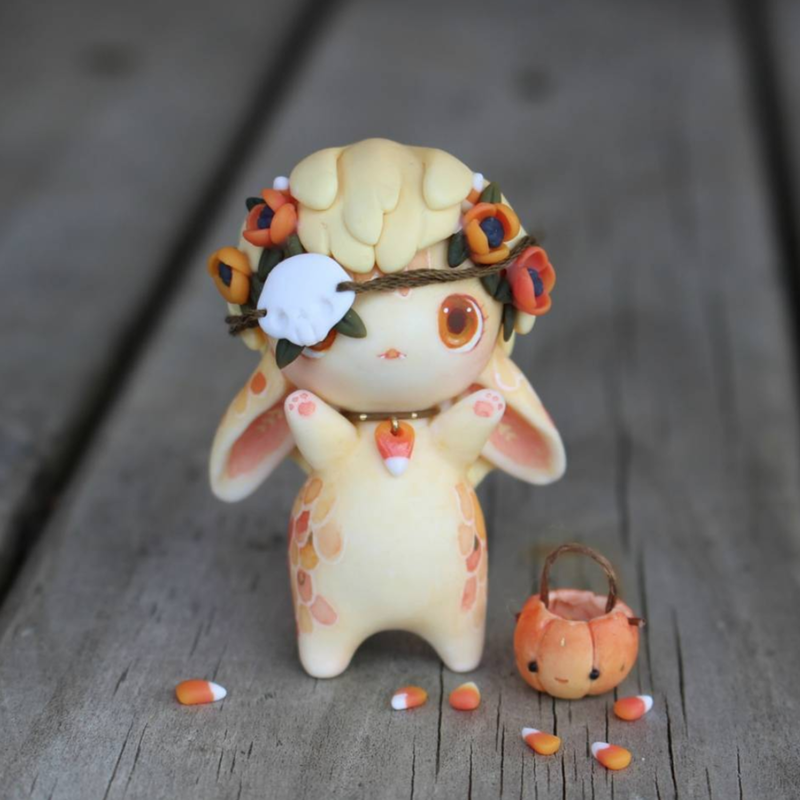 She frequently has shop updates and she's also into making resins right now so do check her out! Amba's creations is ALWAYS so beautiful and her stock is always sold out within minutes! 😩♥️ She's one of my biggest inspirations and her kindness has always kept me going. Her little creatures will definitely brighten up your feed! but leaving the information here for people who are curious on how my custom order used to work. The closest you can get to "order" something from me will be through PatrART Request (above). Q:When are you reopening your custom order? Unfortunately, I'm changing my direction to making YouTube videos of polymer clay instead of custom orders. To be honest with you, the current price for custom order is really not sustainable for me and I don't want to charge too much either, hence the new direction. I'm actually enjoy making videos a lot and I do hope to continue doing this as long as I can. If you would like to support me, do check out my Patreon! In the event that I do reopen my custom orders, the priority will go to my patrons in Patreon. In the beginning, I limited my workload with the term ‘orders’, but the number of single orders that involved multiple figurines began to become more frequent. This became overwhelming and I could not reject large orders as it was stated as being available, so I decided to use the term ‘slot’ as an indication of the number of figurines/items I can make during the stated period of time. Basically, 1 slot = 1 figurine, 2 slot = 2 figurine and so on. Q:How much is one figurine? Each custom figurine starts at USD $98 , with upcharges based on complexity. Q:Can I add on things like a Teddy Bear? Of course you can! But there will be extra charges applied. I am more than happy to do an add-on because it tells the story better than just the figurine itself. :) The additional charge will be calculated on a case by case basis. Do scroll down for Difficulty Levels! Q:What are the Extras I can get and how much are they? This is for items you want as a decoration piece. Colour, shape of the base can be requested! You can even imprint words or numbers, and I can paint the imprinted letters in a colour suited for the whole piece. • Samarium Cobalt (SmCo) magnet: USD $3.50 a pair SmCo magnets is a type of rare earth magnet, it's a strong permanent magnet made of an alloy of samarium and cobalt. It can be baked in high temperatures and hence can be baked with polymer clay. Which means the magnet can be baked INSIDE the clay piece! E.g If you make a couple figurine, the magnet could be placed inside the figurine and they would attach themselves together when near. I've had people asking me why do they have to pay for a custom base and the answer is simple - because it is also fully customisable, also use up materials, and it requires more planning for the position of the figurine on the base than a normal keychain! These are all the fonts, numbers and icons currently available for base. You can put on initials, date, a simple icon on the base, as long as it fits. In the event that you would like the full name to be on the base but not enough space is available, you can choose to add on a plate. Twistwine is something that I came up with while looking for alternatives to the standard keyrings/lobster parrot clasps. These clasps always seem to break/loosen itself within a relatively short timeframe and the item that I spent money on usually drops and goes missing. It still irritates me to no end. I do not want my customer to buy one of my pieces and have it go missing due to a faulty clasp. Granted, it looks more "professional" and "polished" with those clasps, but I would rather have something that is capable of carrying the charms/figurines forever. You also have the option of ordering a piece with the loop but without the Twistwine - to each his own! Please do note the loop is NOT removable. Twistwine is FREE OF CHARGE. Q:Will the item last forever? Like any other keychain charm, all Handxmade charms will also eventually get dirty/scratched/broken if not taken care of. For figurines - especially those with parts that may be fragile - I recommend making them a decorative display piece. Q:Which glaze/finish do you recommend? I think both finish works better for different things. But for figurines, MATTE GLAZE IS THE BEST. (I may also be biased because I LOVE matte finish hahaha) If you think about it, humans doesn't glow/shine, so imo figurines for humans shouldn't either! I usually will make the eyes glossy with UV resin though, since our eyes has water content. Matte glazes however also "flatten" the colours. So if you want vibrant colours, gloss finish will definitely bring out the colours better. Both glaze will also have protection against sunlight, which is nice to have but not necessary. I've read that colours might fade without glazes , and that's the only problem. Even with glazes on, it doesn't mean that you can put the figurine under direct sunlight forever though! Prolonged heat MIGHT affect the glazes. Here's some comparison for you to see the physical difference for yourself. Polymer clay is also waterproof after baking, but varnishes are only water resistant! Of course, if painting is required for your order (which I will inform you), we can glaze that particular part with glaze to prevent the paint to come off. Q:When will I receive my custom order? Can I choose my own deadline? I am not taking consistant custom orders and I will only open the slots available when I can. Even if I do open, priority will be for my Patrons. The deadline given is recommended to be AT LEAST 1 month! Rushing is NEVER good for handmade products. There will be discounts/offers given depending on the occasion! Patrons on my Patreon receives different discounts on different tiers even for custom orders and auctions, so you can check that out too. Do take note that the difficulty levels will be added in when the invoice is sent to you. No orders are confirmed until payment is made. No additional cost - Additional USD $10 per figurine. Additional USD $10 - USD $30 per figurine. *Do take note that image transfer works best with white background, for coloured background there will be painting involved to make the image pop. Additional USD $30 - USD $50 per figurine. Note that it will be charged accordingly. For wedding figurines (2nd set of photos from top), ONLY the female will have additional cost because of the transparent clay used to get the texture of the wedding dress or veil. Additional USD $10 - USD $98 per accessory/figurine depending on complexity. For human figurine baby/child, even though it's "smaller" than a normal figurine, it takes a lot of planning and time (especially for the child to be hugged etc) so it will be the same as the price of one figurine. 1. Additional charges may apply depending on the choices made on the form. 2. An invoice will be sent to you via e-mail within 48 hours of your inquiry with the Paypal link or bank account number for payment. Handxmade will only begin work on the order once payment is made. 3. If payment is not made within 48 hours of the e-mail invoice, the order will be cancelled and you will be informed via e-mail. 4. If you are paying through bank transfer, please email a photo of the transaction details to info@handxmade.com or send an SMS/WhatsApp message to +65 8858 4039. Otherwise, it will be assumed that payment has not been made. 5. Discounts are only applicable when a valid Discount Code is entered in this form. 6. All custom orders require a 50% non refundable deposit for work to begin. The remaining 50% will be due prior to delivery of item. Full payment is recommended. 7. Any changes to a custom order (no matter how small) will result in said order being moved to the back of the production line, and will incur a change fee (in addition to the cost of the changes themselves). An additional invoice with the change fee will be sent to you and the order will be halted until the outstanding payment is made. 8. Upon any confirmed changes to a custom order, Handxmade is not responsible if the initial deadline given is not met. 9. The order will be processed according to the reference photo(s) given. Please edit the image accordingly if the image is mirrored (e.g. a selfie). Any prominent facial features such as a mole will be on the figurine unless otherwise stated prior to Handxmade beginning work on the order. 10. All items crafted are an extension of Handxmade's imagination of the reference photo(s). If there are any specific requests (e.g. specific kind of manga eyes to be painted on, the orientation in which they hold the requested extra item), they will have to be informed prior to production. A drawing or photo of the requested position or facial expression is recommended to be sent with the reference photos. 11. Any photos taken by handxmade of the item is the property of Handxmade and she may use the photos however she deems fit. 12. Handxmade reserves the right to change these terms and conditions at any time without prior notice. In the event that any changes are made, the revised terms and conditions will be reflected immediately.